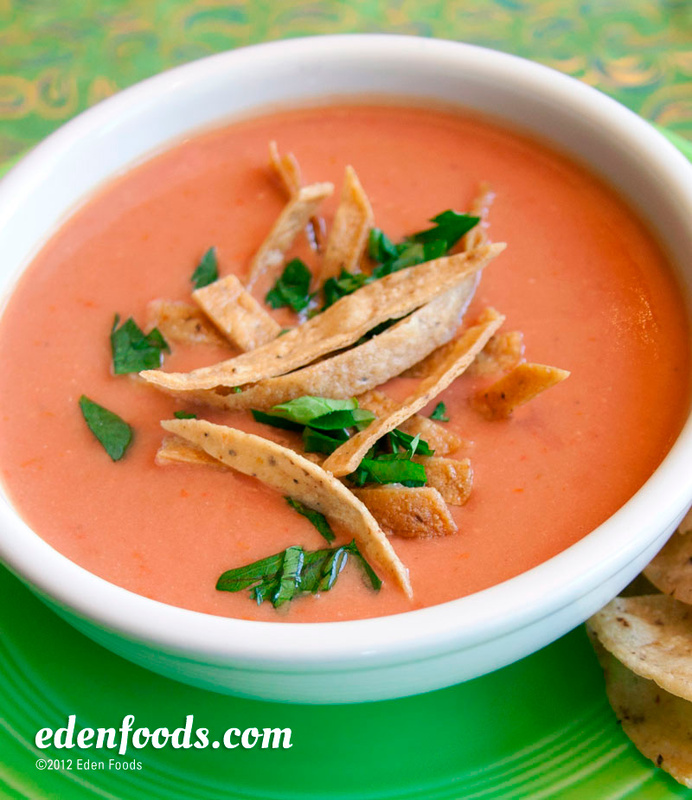 Place tomatoes, beans, and jalapeno in a blender and puree until creamy. Pour into a medium saucepan, add Edensoy, sea salt and pepper. Turn the heat to medium, mixing frequently and bring almost to a boil, do not boil. Reduce the flame to low and simmer 5 minutes. Ladle into serving bowls and garnish each bowl with equal amounts of parsley or cilantro, tortilla strips and avocado.